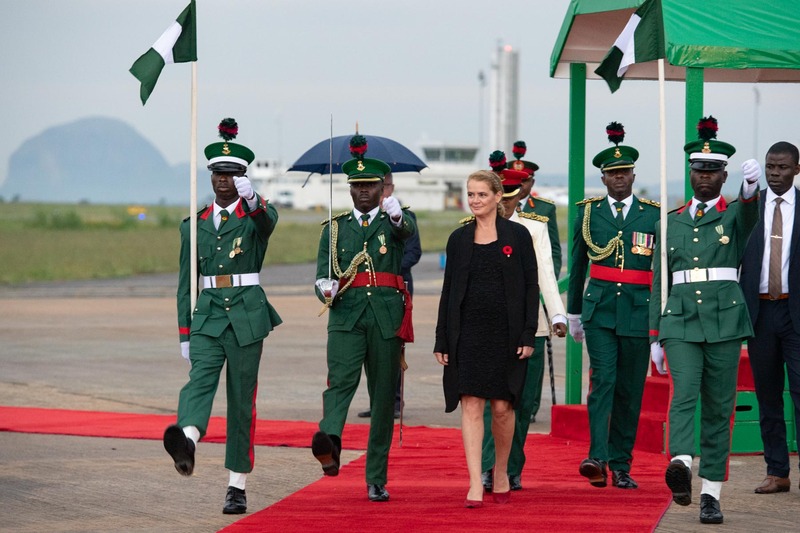 At the request of the Right Honourable Justin Trudeau, Prime Minister of Canada, the Governor General visited West Africa from October 23 to 30, 2018 where she undertook a State visit to the Federal Republic of Nigeria, from October 28 to 30. 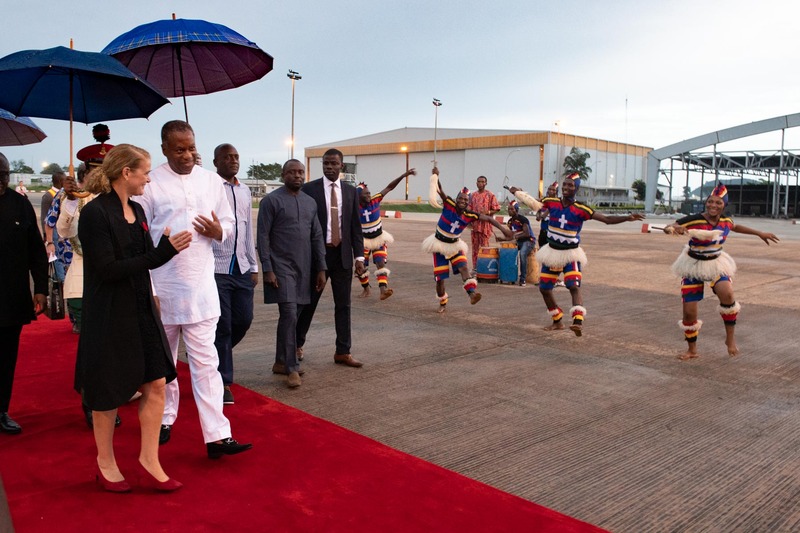 Upon arrival in Abuja, Her Excellency was greeted by Mr. Geoffrey Onyeama, Minister of Foreign Affairs, and Mr. Mohammed Bello, Minister of the Federal Capital Territory, and Ms. Amy Galigan, Acting High Commissioner of Canada to Nigeria. A guard of honour was also present. 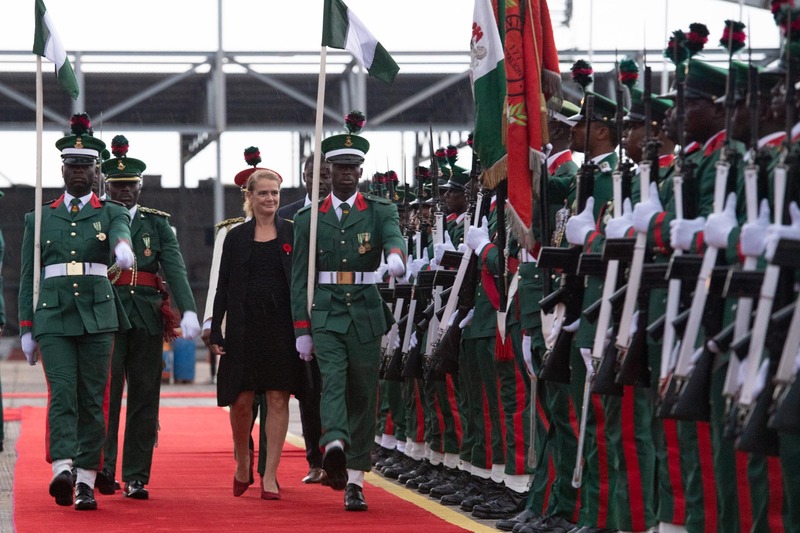 On the afternoon of October 28, 2018, the Governor General began her State Visit to Nigeria. The welcoming reception was held in the presence of a guard of honour. Upon arrival in Abuja, Her Excellency was greeted by Mr. Geoffrey Onyeama, Minister of Foreign Affairs, Mr. Mohammed Bello, Minister of the Federal Capital Territory, and Ms. Amy Galigan, Acting High Commissioner of Canada to Nigeria. 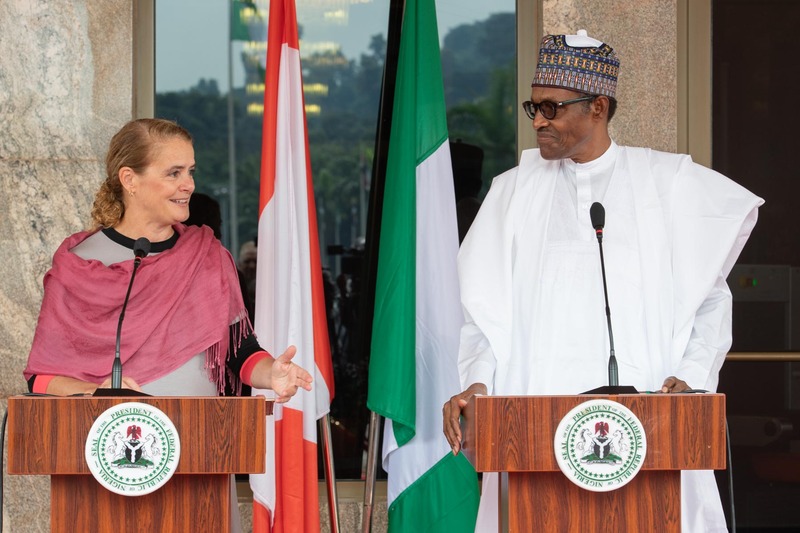 The Governor General spoke with His Excellency Muhammadu Buhari, President of Nigeria, to discuss bilateral relations between Canada and Nigeria. 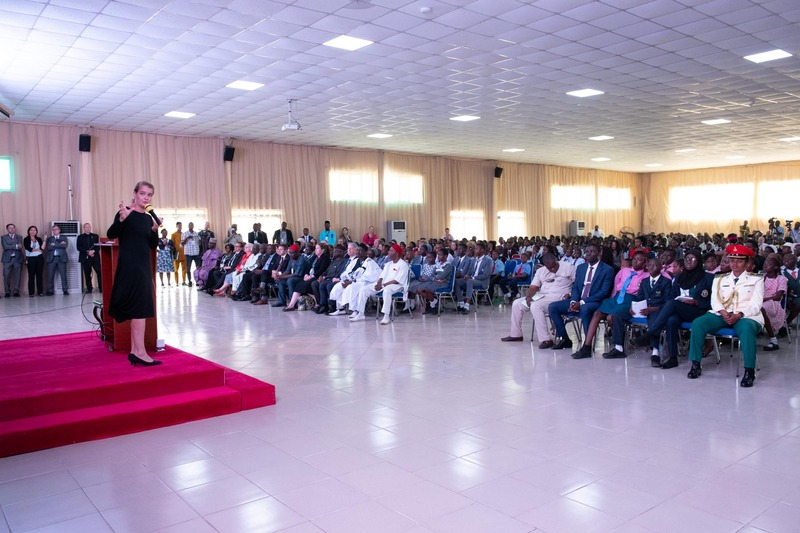 She met with teams of graduate students at the master’s and doctoral levels and teachers of the African University of Science and Technology. Joined by Dr. Ogbonnaya Onu, Minister of Science and Technology, she took part in a discussion with representatives of the National Space Research and Development Agency on Nigeria’s efforts in the aerospace field. She then gave a presentation on space to primary and secondary students. 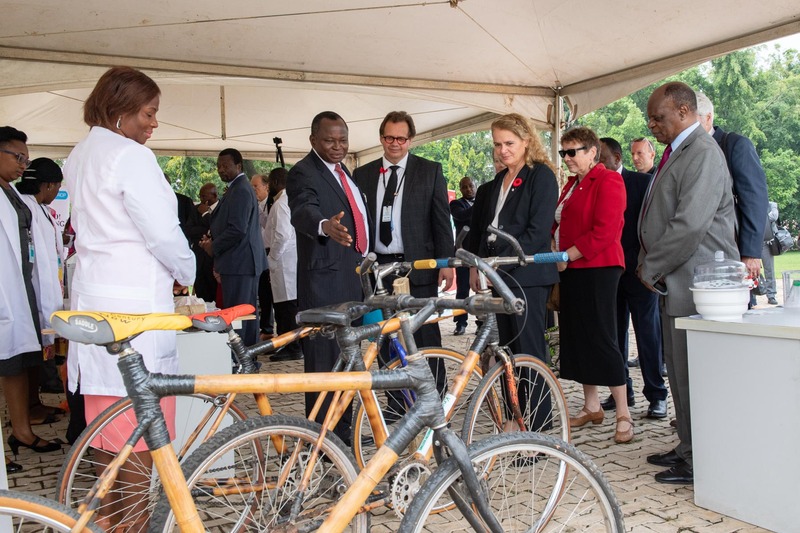 The Governor General and the Canadian delegation visited the African University of Science and Technology in Abuja. 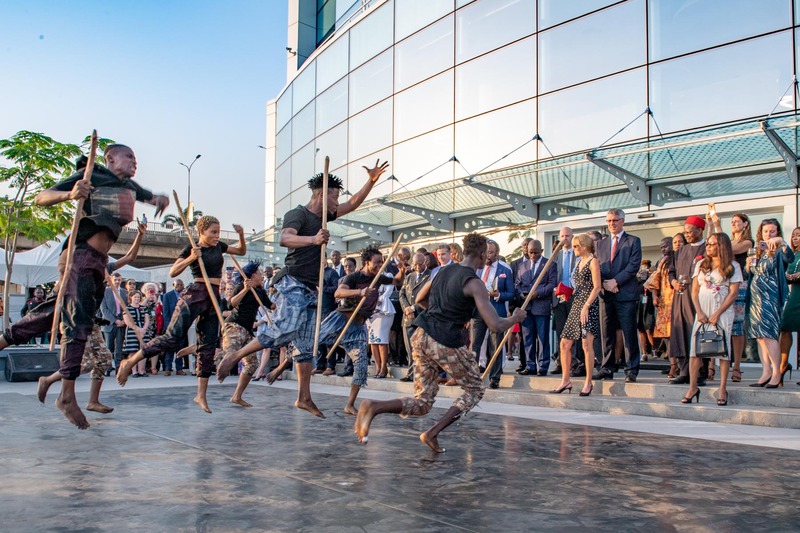 Upon arrival, they were greeted by the university’s President, Professor Kingston Nyamapfene (right), and introduced to the AUST senior management (left). They met with teams of graduate students at the master’s and doctoral levels and teachers who presented the findings of their cutting-edge research in the areas of sustainable materials and breast cancer. Canadian delegate Jean Lebel (left), President of International Development Research Canada, looked at their research with great interest. Her Excellency then shared with the students her own career path and the importance of science and innovation. Canadian delegate Jean Lebel also said a few words. The remarks were followed by a question period with the students. 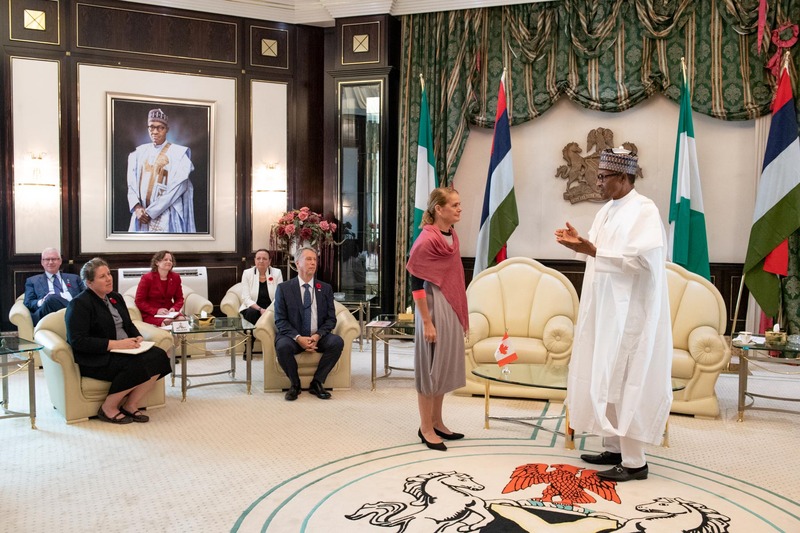 The Governor General then headed to the Presidential Villa to meet with His Excellency Muhammadu Buhari, President of Nigeria, to discuss bilateral relations between Canada and Nigeria. Following their meeting, the Governor General and the President delivered a statement to the media. 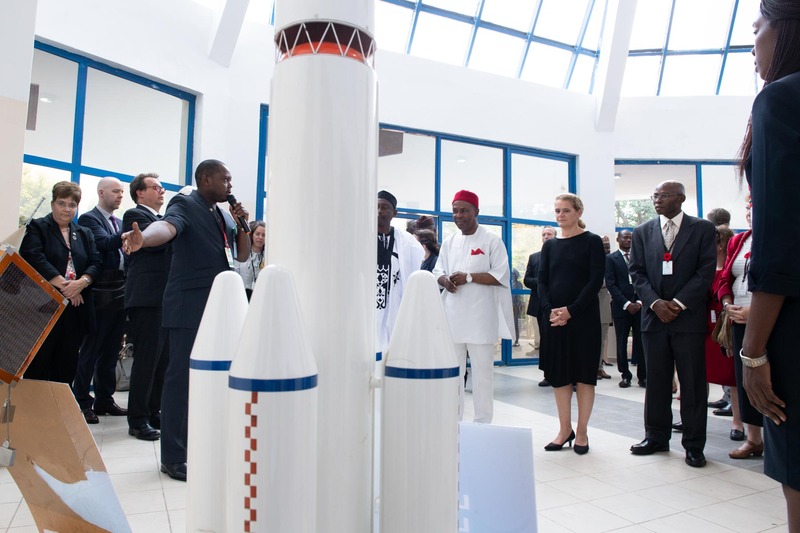 The Governor General and the Canadian delegation proceeded to the National Space Research and Development Agency. They were greeted by Dr. Ogbonnaya Onu, Minister of Science and Technology, and then took part in a discussion with representatives of the Agency on Nigeria’s efforts in the aerospace field. 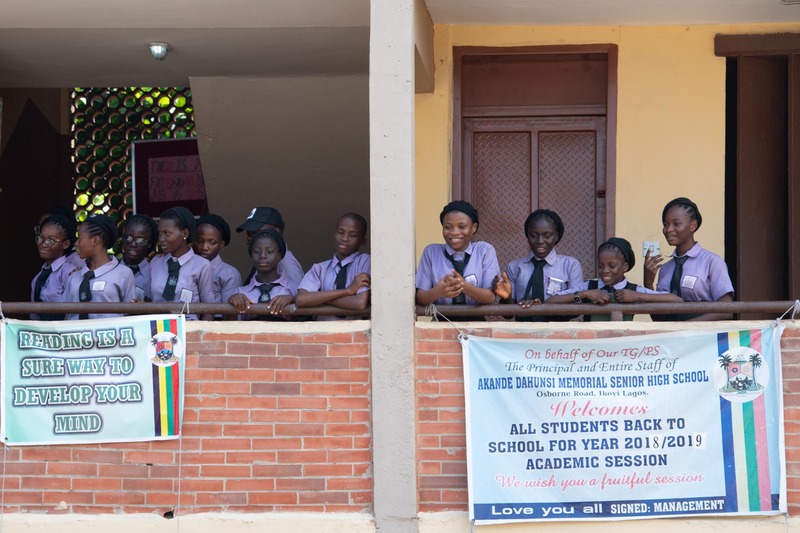 Her Excellency will then give a presentation on space to primary and secondary students. Following the presentation, she visited technical laboratories. She concluded her visit at the National Space Museum, where she donated a personal memento from space. In the evening, the Governor General and the Canadian delegation met with young leaders of the Nigerian civil society. Her Excellency delivered remarks and met with them to learn more about their interests, ambitions and motivations. 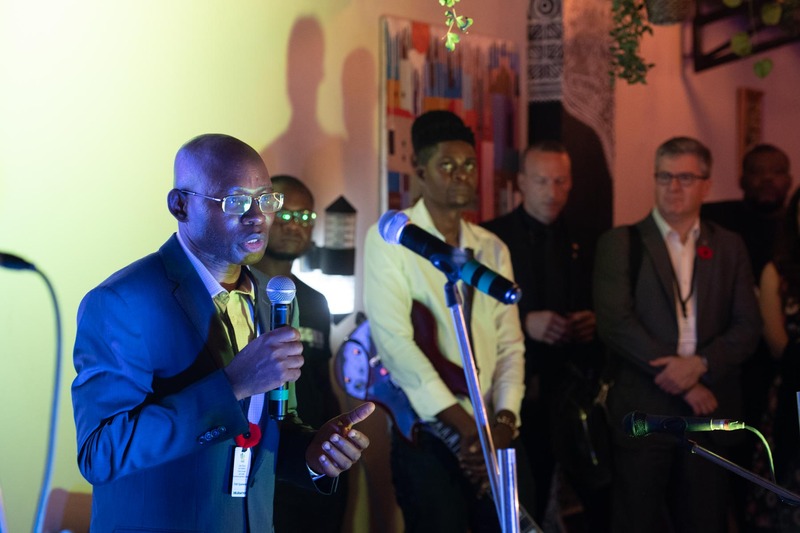 Borned and raised in Nigeria, Canadian delegate Dr. Chidi Oguamanam Professor, Faculty of Law (Common Law Section) at the University of Ottawa, shared his experiences and journey with youth. 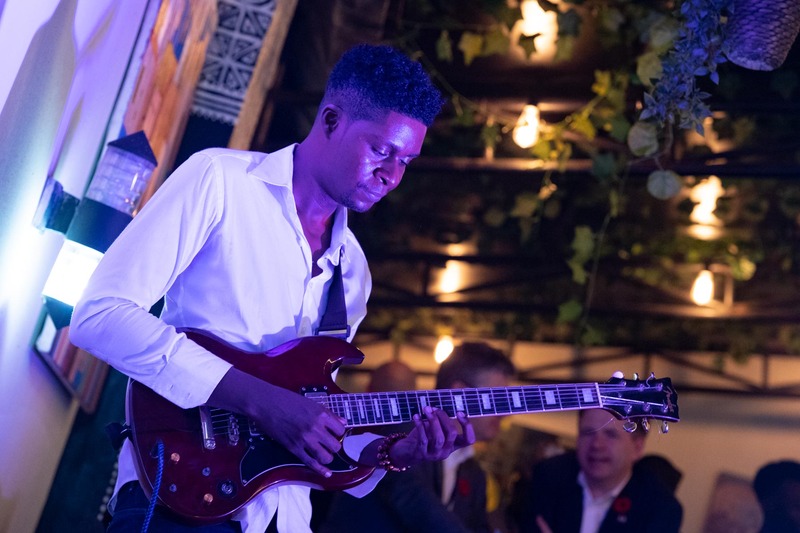 Throughout the evening, Nigerian musicians performed. 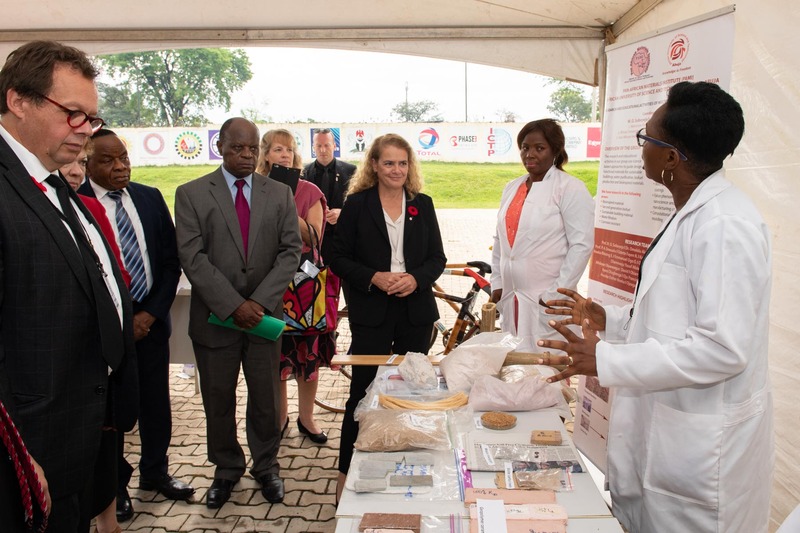 Accompanied by Dr. Jide Idris, Commissioner for Health in Lagos State, the Governor General opened a new biosecurity laboratory funded by Canada in partnership with Lagos State. 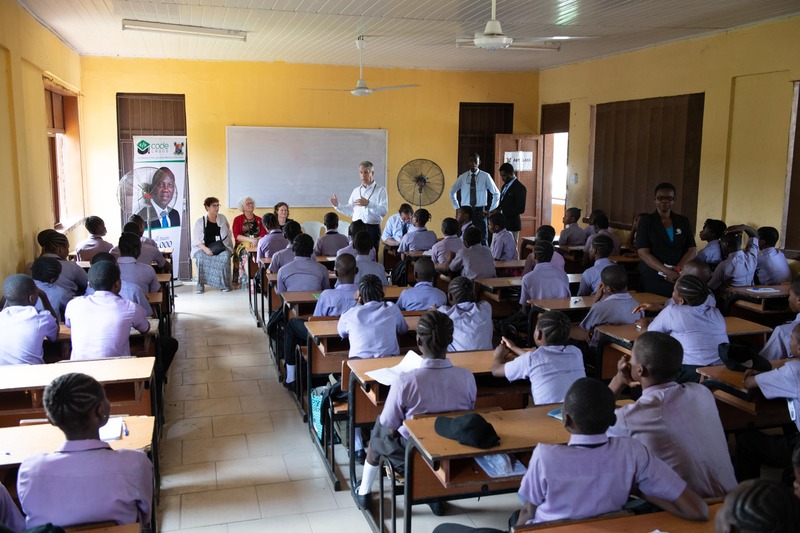 Her Excellency also visited a public school to interact with students taking part in the CodeLagos program and delivered brief opening remarks on the occasion of a lunch discussion, which brought together members of the Lagos business community. 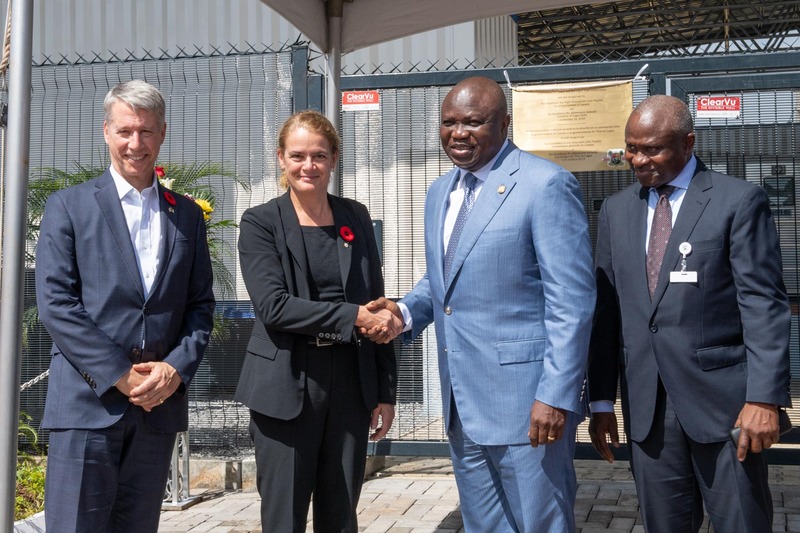 In the presence of Dr. Jide Idris, Commissioner for Health in Lagos State (right), the Governor General joined by Lieutenant General (retired) The Honourable Andrew Leslie, Parliamentary Secretary to the Minister of Foreign Affairs (left), opened a new biosecurity laboratory located on the grounds of Mainland Hospital in Yaba. It was here that the isolation unit used by Lagos to contain the 2014 Ebola virus disease (EVD) outbreak was located. 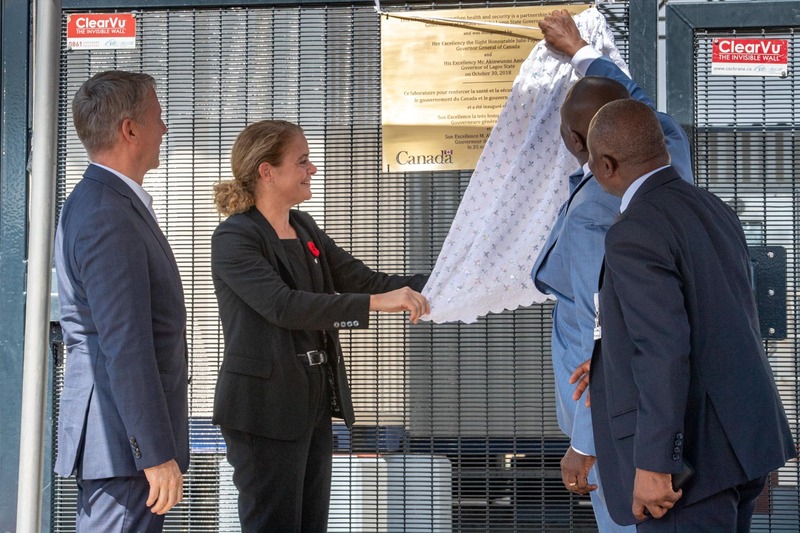 Funded by Canada in partnership with Lagos State, the laboratory will serve as a single repository for all high-concentration pathogens in Lagos State. The laboratory will also help the State to mitigate post-EVD threats and build capacity for prevention, detection and response to future outbreaks in Nigeria and West Africa. 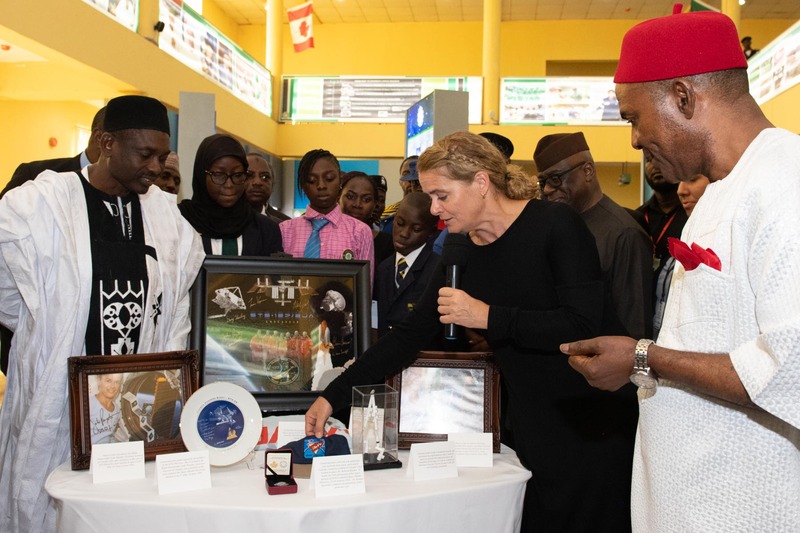 Her Excellency and the Canadian delegation then proceeded to Akande Dahunsi Memorial Senior High School to interact with students taking part in the CodeLagos computer literacy program and talk to them about her background in informatics. 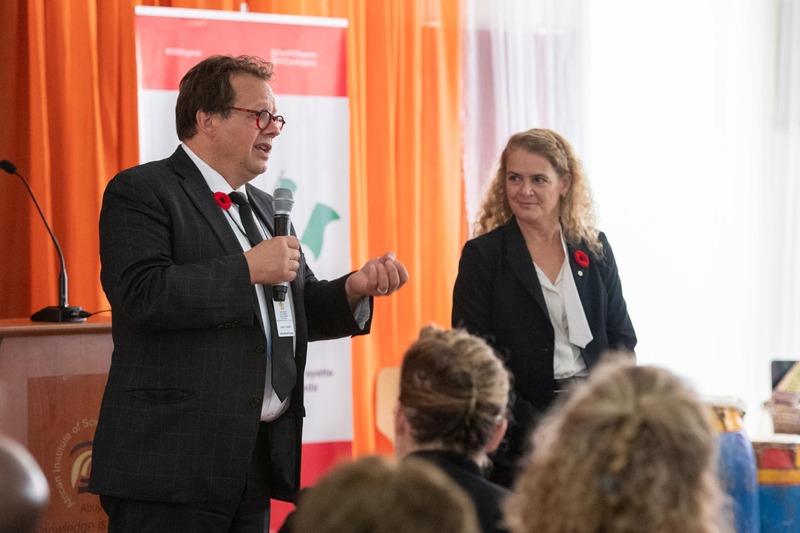 Canadian delegate Dr. Jan Christilaw, Special Advisor to Women’s Health British Columbia Women’s Hospital and Clinical Professor at the University of British Columbia, shared her experiences with students. Lieutenant General (retired) The Honourable Andrew Leslie, Parliamentary Secretary to the Minister of Foreign Affairs, talked about his journey with the Canadian Armed Forces and the role he plays today in Parliament. 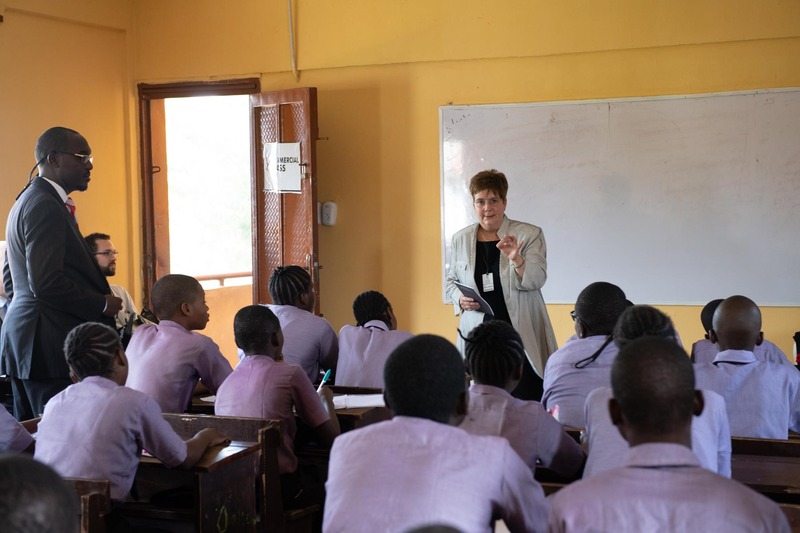 Canadian delegate Anne Gaboury, President and Chief Executive Officer Développement international Desjardins, also shared her story and experiences with students. The CodeLagos Program is an initiative of the Lagos State government that offers an education rooted in computer programming skills to over one million Lagosians, including youth in marginalized communities. 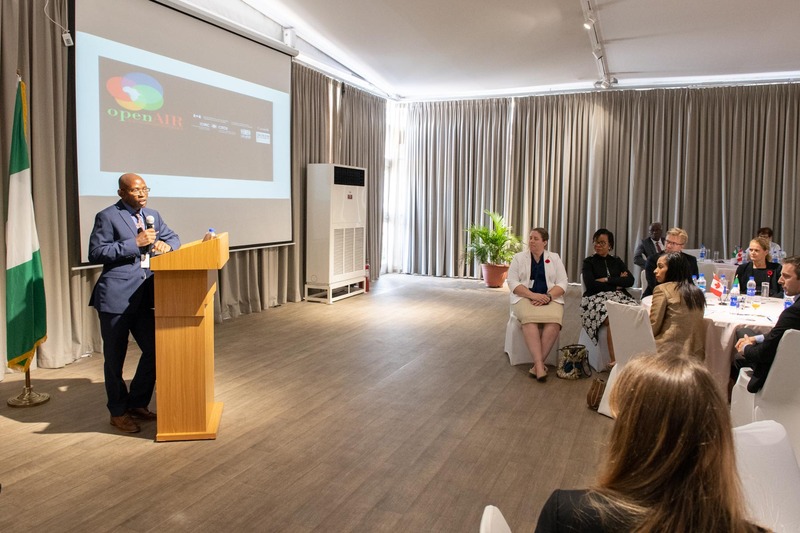 The Governor General then delivered brief opening remarks on the occasion of a lunch discussion, which brought together members of the Lagos business community. 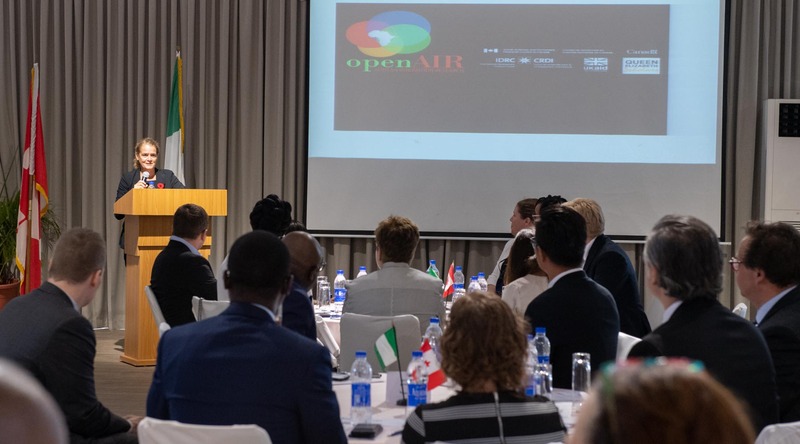 Born and raised in Nigeria, Canadian delegate Dr. Chidi Oguamanam, professor at the Faculty of Law (Common Law Section) at the University of Ottawa, also addressed guests. 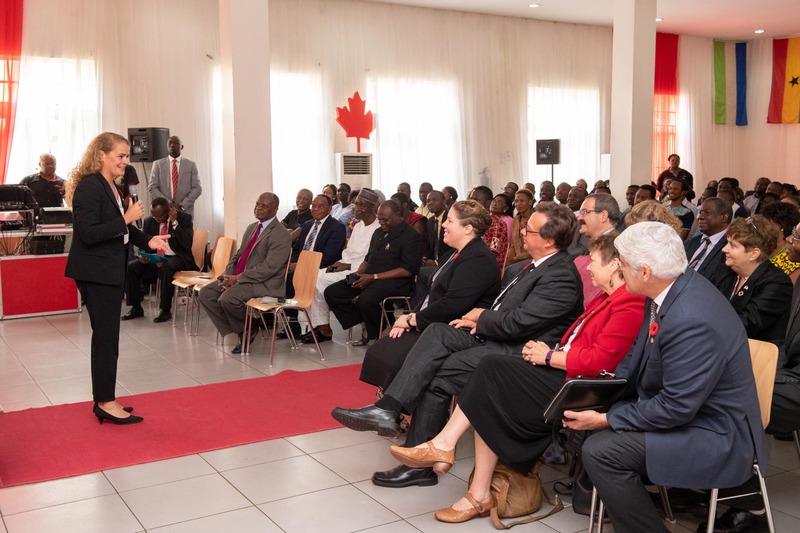 Later in the afternoon, Her Excellency met with individuals who have made continued and exceptional efforts in promoting and enhancing the Canada-Nigeria relationship. 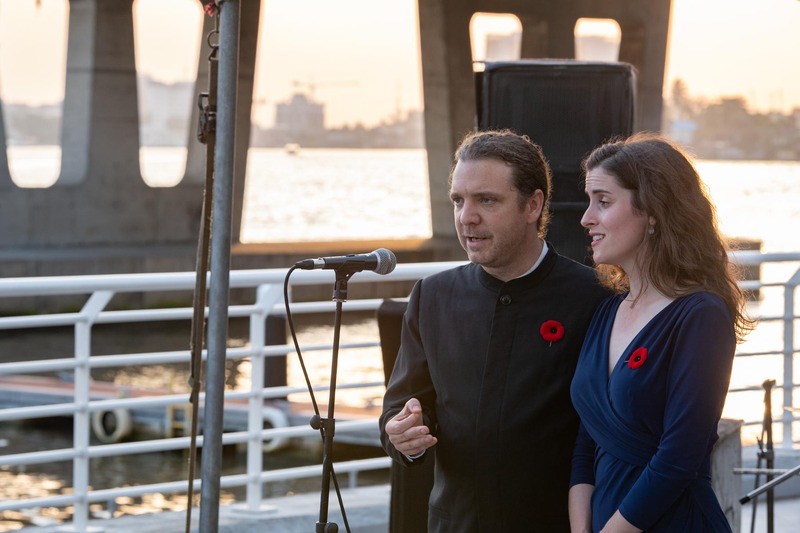 During this Friends of Canada reception, she provied brief remarks. 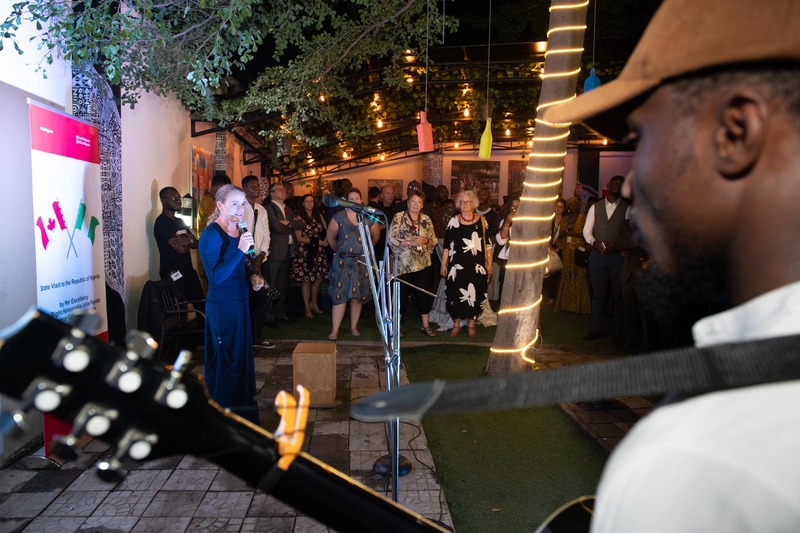 The event provided an opportunity to celebrate the vitality of the arts and culture scene in Lagos.